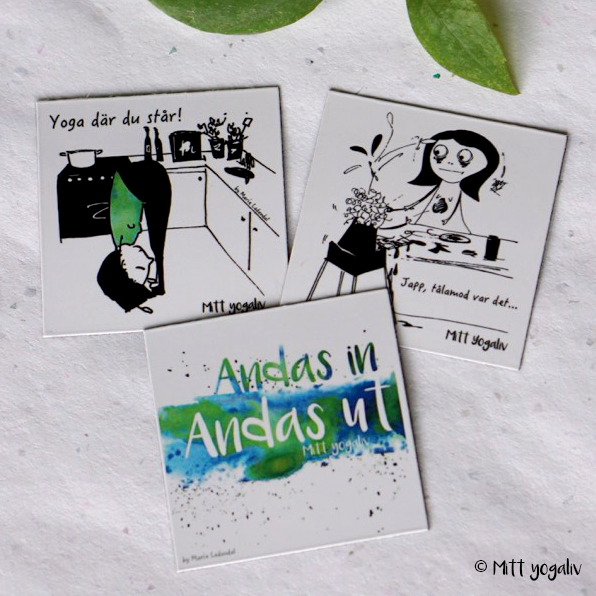 Check out the on-going COMPETITION with Mitt yogaliv, with refrigerator magnets illustrated by me as a prize. Just nu TÄVLING med Mitt yogaliv, med fina kylskåpsmagneter, illustrerade av mig, i vinst. Follow link to take part in the competition.